Your Camrys and Accords? Put 'em on Craig's List and meet your new DD. Get behind the wheel with Hib as he digs deep into the technical aspects of the brand new 2005 C6 Corvette and interviews C6 designer, Tom Peters and other "Team Corvette" engineers responsible for Chevrolet's latest barn-stormer. Once again, Hib Halverson has released an incredible in-depth look at the 2004 Commemorative Edition Z06. Get behind the wheel with Hib as he shakes down this bad boy and interviews the Corvette Engineers that made it happen. An in-depth look at Magnetic Selective Ride Control, new for the 2003 model year and how it compares to previous Corvette adjustable suspension systems. Hib Halverson takes a 540-hp Corvette convertible and releases the best within! 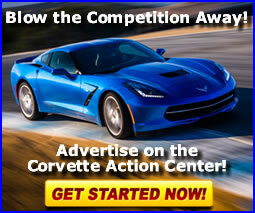 Hib Halverson reviews the C5 Corvette's Active Handling system. Hib Halverson reviews how Goodyear's Corvette tires heavily influence the new Assurance TripleTred.